If you are after a quality laminate flooring solution to make your home feel more spacious and aesthetically appealing, wide laminate flooring is a great way to achieve a luxurious finish in almost any space. The extended width and length of these laminate planks allow them to replicate the sleek and imposing appearance of hardwood flooring while creating the feeling of more space in the room. Due to its unique visual appeal, wide laminate flooring has become a popular floor option in many homes and interior design styles, from rustic to traditional, contemporary, and Mediterranean. But in addition to its unique look, wide laminate flooring also offer other significant benefits. As mentioned before, wide laminate flooring is specially designed friendly and can blend with vintage, industrial, modern, Mediterranean, Craftsman, traditional, rustic or Shabby design concepts. It can be used in different areas of the home as well as in commercial spaces, including kitchens and conservatories. These floors are easy to clean and resistant to scratches and scuffs. Cleaning them doesn’t require using any heavy chemical cleaners, just regular mopping. However, different laminate floors may have different maintenance requirements, so it is wise to check with the manufacturer for the right cleaning supplies the type requires. When compared to strip wood floors, wide laminating floors are much easier to install. In addition to having less planks to install, which means quicker and easier installation, the boards of laminate flooring slot together easily for a simple and hassle-free installation process. 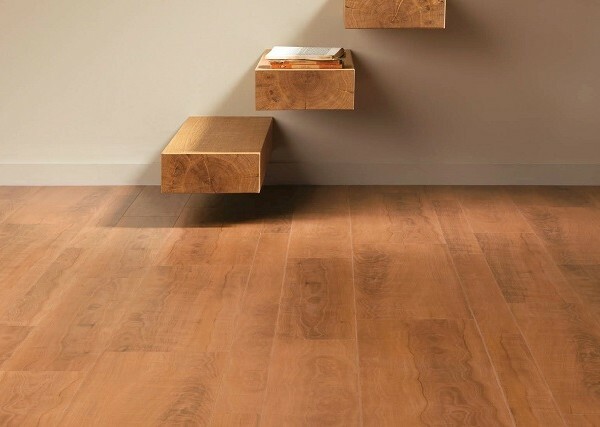 When shopping for wide laminate flooring for your home, one of the most important factors you ought to consider is how wide you want your floor planks to be. Planks’ width may vary from 220mm to 260mm as to meet different customer’s requests. The size of your room should also influence your decision as very wide and long planks are often considered to suit large rooms. Fewer boards give the floor a cleaner look and don’t break the grain pattern. For a small room, you may want to consider a combination of both long and short planks, which adds more interest and suits better smaller rooms. Although you may have to pay a little more for wide laminate, compared to other, cheaper options, in the long run, it’s a smart investment and it’s sure cheaper than hardwood, all while coming with all aesthetic perks one could desire.